Given the complexity of modern games, they inevitably ship with glitches and vulnerabilities. Such is the case with Max Payne 3, which has a problem with multiplayer cheaters using invincibility hacks, infinite adrenaline exploits and more. Although most people are honest enough to enjoy the game without cheating, there's a small minority of gamers who can't resist the temptation of boosting their stats by exploiting the game. Most game developers rush to patch the bugs and, if anything, issue temporary or permanent bans. Rockstar, however, istaking a novel approach to sorting the bad apples. The company warns that folks caught spoiling the multiplayer experience in Max Payne 3 will be condemned to a "Cheater's Pool" with other "confirmed miscreants." 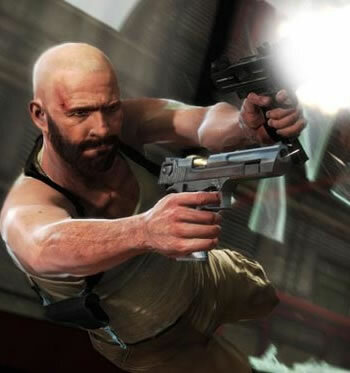 This goes for all nefarious players, whether they're gaming the leaderboards or using hacked saves, modded games or other exploits to gain an unfair advantage in Max Payne 3's multiplayer mode. Cheaters will have one opportunity to correct their behavior, though Rockstar doesn't explain how it will go about absolving abusers of their past transgressions. If you're caught a second time, you'll be stuck in the Cheater's Pool forever. The developer says it's removing invalid leaderboard entries to ensure players actually earn their rank and it's calling for your help to find cheaters. If you see anyone doing something suspicious, email the company at maxpayne3.banhammer@rockstargames.com and include the platform you're playing on (PC, PS3 or Xbox 360), the cheater's screenname, a description of the offense and if possible, solid evidence such as a video or screenshot. Rockstar notes that it only wants to hear about real cheaters, so don't email them whining about folks using legit tactics like camping, however annoying it may be.